If I had to pick a favorite seasonal trend, it would probably be pumpkin flavored foods. This was not always the case, growing up, the only pumpkin anything I would eat was my mother’s pumpkin bread. In fact, to me pumpkins were for carving not consuming. Over the past few years I have drastically changed my tune in the pumpkin department. Now, once Fall hits my family is regularly consuming pumpkin bread, pumpkin chili, and pumpkin cookies. My family draws the line at pumpkin chips; I think we can all agree that, that is too much. If I had to guess my pumpkin obsession probably started in a very basic way with the Starbucks Pumpkin Spice Latte. 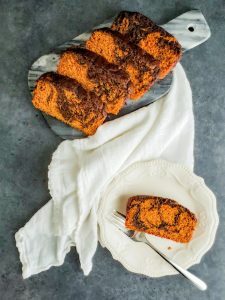 I like to believe that this pumpkin spice loaf cake is a lot of those same flavors with a dash of dark chocolate thrown in. 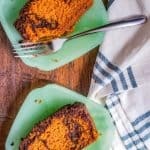 This Pumpkin Spice Loaf Cake recipe has everything “Fall” to me. 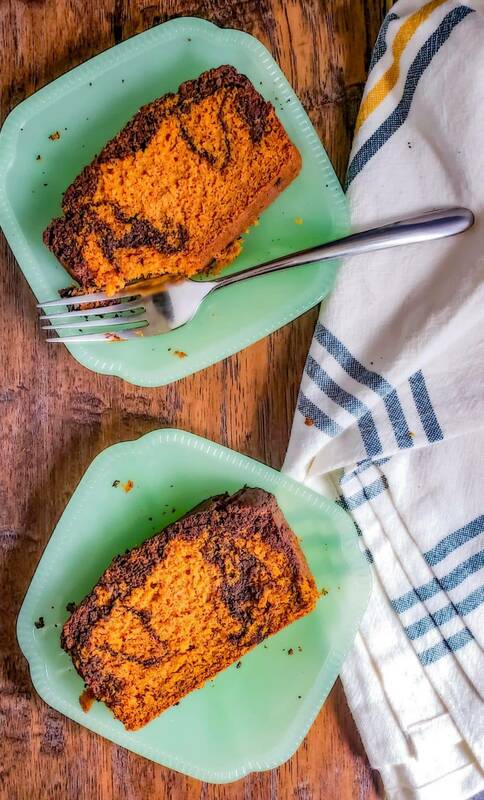 The combination of pumpkin, spices, and dark chocolate makes this the perfect Fall recipe! It is perfect and leaves you ready to put on tall boots and a plaid shirt. My favorite part of the recipe (besides the pumpkin, duh) is the addition of the dark chocolate. I have had a number of pumpkin spice breads and they are all delicious. My mother’s included was a traditional pumpkin spice bread. I am a lover of all things chocolate and wanted to mix two of my favorites, pumpkin and dark chocolate. 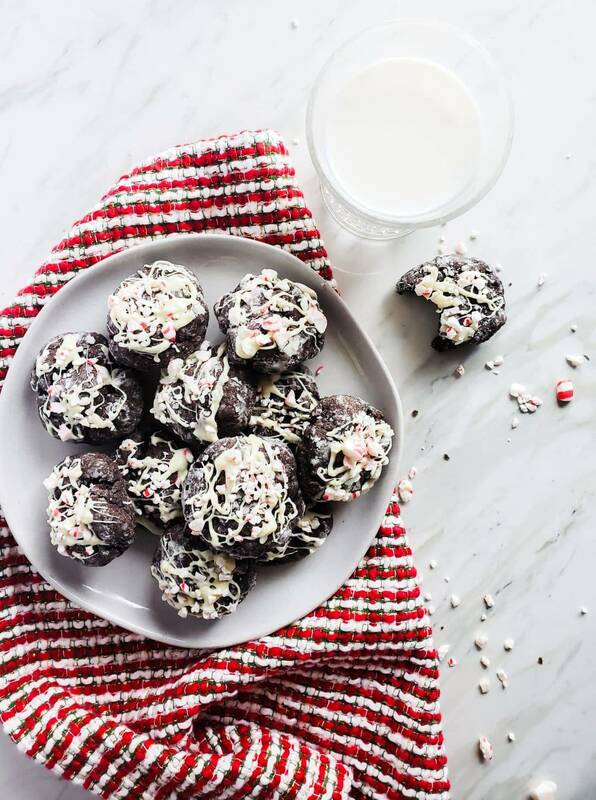 Along with the dark chocolate addition this recipe combines a number of spices and sugars to achieve the perfect combination of flavors. First, I like to use a combination of granulated white sugar and brown sugar. I tend to see in a lot of recipes that people usually use one or the other. I like to combine them, because why the heck not?! Personally, I like the texture this pumpkin bread gets when using mostly brown sugar as my sweetener. That being said, I have found that if I ONLY use brown sugar the pumpkin bread comes out with too much of a brown sugar taste. Now, I could probably add some more spice, but I have found by swapping out a little brown sugar for white sugar does the trick. Also, if you are into alternative sweeteners I have used the Lakanto Classic Monkfruit Natural Sweetener and the bread comes out just as amazing! I don’t use it in the recipe because I understand it is not as readily available, but if you prefer it go for it! 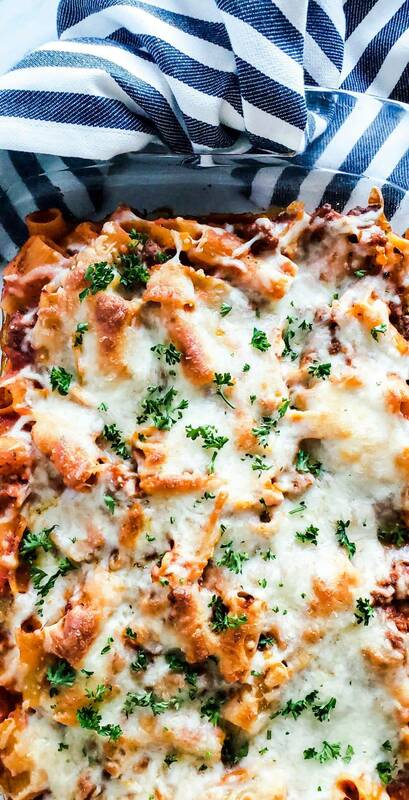 Second, I love the combination of spices used in this recipe. I like to combine nutmeg, ground cloves, and cinnamon. I know other recipes often use ground ginger, but for me it just gives the bread a very strong flavor. Therefore, I prefer mine without it. My favorite spice is nutmeg. 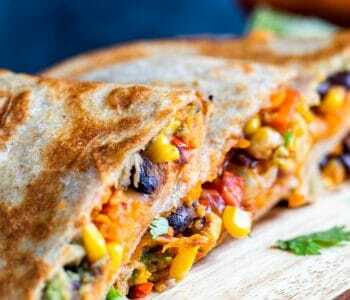 I think it is so tasty and I need to incorporate it into more recipes. I like to use an even combination of the three to get a well-rounded flavor. Also, so one doesn’t over-power the other. You only need to use a small amount of each of these spices, because they are very bold. Any one of these could takeover the pumpkin bread so be careful not to use too much! Trust me, there is nothing worse than a giant bite of cinnamon. Third, the addition of the dark chocolate adds the perfect amount of sweetness. I like to use the Ghirardelli brand personally, but whatever you have access to will work. Just make sure that you are using a dark or bittersweet chocolate when making this recipe. Even if you aren’t a big dark chocolate fan (like my husband) the pumpkin and spices will come through and compliment it. It won’t be like you are just eating dark chocolate on its own. The dark chocolate adds a subtle flavor and I promise it’s bomb. 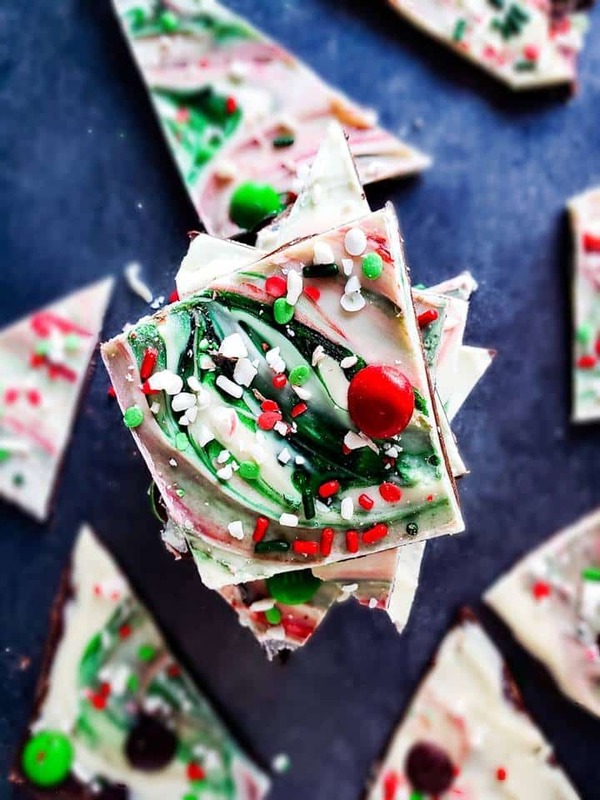 Also, milk chocolate is a definite no for this recipe. The flavor is too sweet, and will fight with the other spices and it will be a mess. If you hate dark chocolate or do not eat it then maybe give semi-sweet a try. Personally, I think it wont be as good as the dark chocolate, but it will still yield tasty results! Also, no white chocolate. I don’t think I need to explain why, just please don’t. 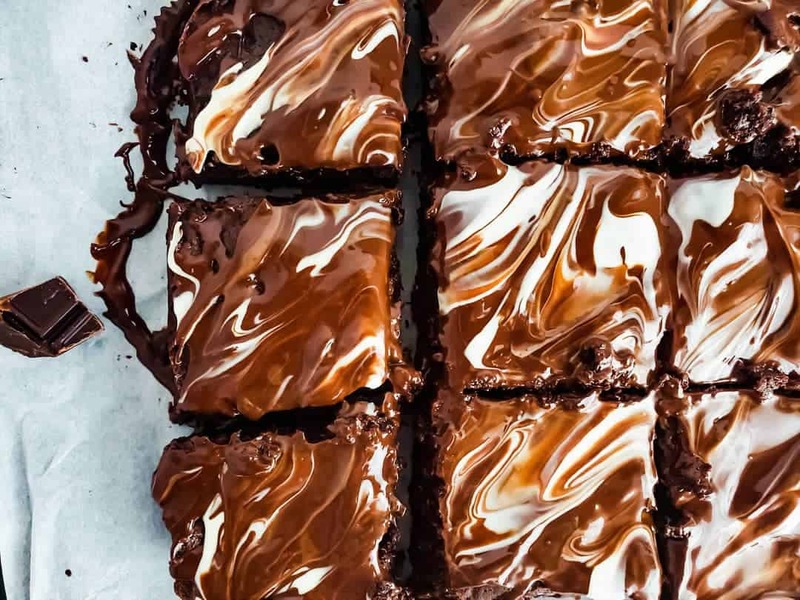 If you like white chocolate give this Gooey Chocolate Fudge Brownies with Chocolate Drizzle a try. Moist. Yep, that is exactly the word to describe this Pumpkin Spice Loaf Cake. I have shown a lot of restraint not using the word till now, but be warned now I’m going to abuse it. I know tons of people hate the word moist, but really we are talking about bread so it’s okay in this situation. This bread is super moist because of the whisking of the butter and sugars first. I think the texture comes out so much better when you mix all the ingredients slowly and separately. It is also important to not over-bake this bread. This is a rule in all baking, but it is especially important with bread, and loaf cake. I recommend setting your timer 5 minutes under the recommended cooking time to ensure the bread doesn’t over bake. For example, my pumpkin bread usually takes 60 minutes exactly to reach the optimal texture. Also, I like to cover the pumpkin bread halfway with some aluminum foil so the top doesn’t get to brown and dried out. I have so many great memories of digging into some of my mom’s pumpkin bread growing up. 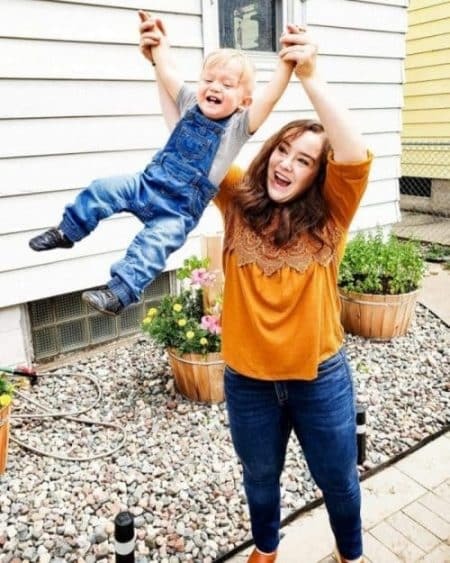 This Fall my son is around 15 months old so unlike last Fall, when he was just a squish, we can do a lot more things! Apple picking, roasting marshmallows, hayrides and of course eating all the Fall goodies! 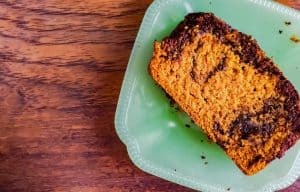 This was the first time I made this pumpkin spice loaf cake for my son, Theo, and he LOVED it. He honestly finished his and then came and snatched the ones I was shooting for these pictures! I always know I have a good recipe when my son gobbles it up. I feel like kids are some of the toughest critics, because they are brutally honest. Luckily, he didn’t spike this one on the floor! One of my favorite things right now is getting to share things from my childhood with my son. It makes me so happy watching him love things as much as did! I can’t wait to make this bread with him every year and create another basic pumpkin spice loving human! I hope your family loves this pumpkin spice loaf cake as much as ours! 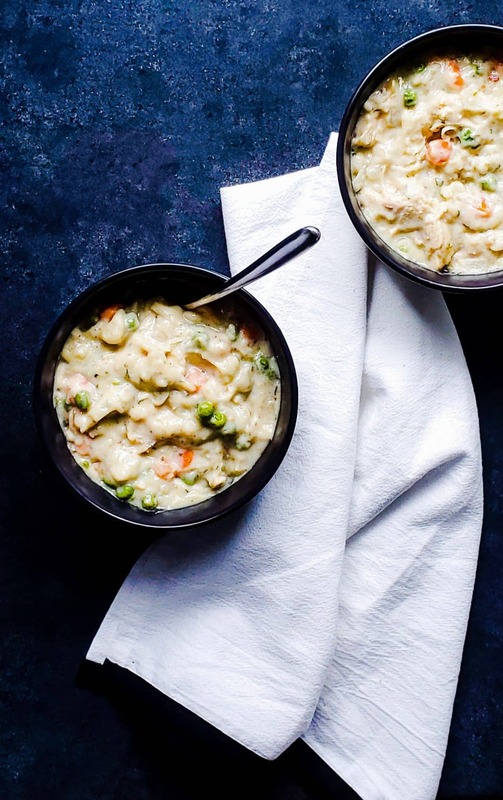 Live for Fall recipes? 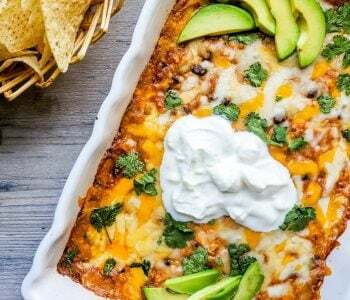 Give this Sweet and Spicy Chili Mac and Cheese a try! The perfect Fall dessert recipe! 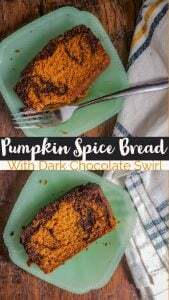 An amazing combination of pumpkin, spices and dark chocolate! 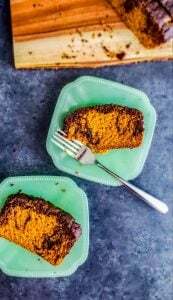 This Pumpkin Spice Loaf Cake recipe with make you wish Fall was all year round. Enjoy! In a large bowl, combine softened butter, brown sugar, and white sugar. Using a hand or stand mixer, use the whisk attachment to combine the butter and sugars together, about 2 minutes. Once the butter and sugars are combined, add in the vanilla extract and canned pumpkin. Continue to mix until combined, about 1-2 minutes. * Then add in the eggs and continue to mix until the batter is smooth. Once smooth, slowly add in the dry ingredient mixture and mix until smooth and combined. Melt the dark chocolate chips in the microwave for 30 seconds then stir. Continue to melt them in 10 second intervals until chocolate is smooth and completely melted. In a greased 8x4 loaf pan pour in pumpkin spice batter and melted chocolate. You could alternate them in the pan, or pour in the pumpkin spice batter then the chocolate over top. Gently scoop and stir the batter and chocolate together so they begin to swirl. Try not to over-do it or the batter is going to just turn out brown. Bake for 60-70 minutes on the middle rack until an inserted toothpick comes out clean. I also like to cover the pumpkin spice loaf with foil half way through so the top doesn't get too brown. Once finished enjoy warm! *After I whisk the butter and sugar together I like to switch to the paddle attachment on my stand mixer for the remainder of the mixing. If you do not have that option, just continue to use the whisk attachment. I too love the change to crisp fall air, and the flavors that go with it. I too didn’t eat pumpkin other than pumpkin bread, fun to try different flavors. As I nibble on some dark chocolate reading this, the idea of combining with pumpkin sounds good! My husband was not into the idea of putting in the dark chocolate…then he tasted it and I converted him lol. Now that the weather is turning cooler, I’m all about pumpkin! The addition of the chocolate really makes this look delicious. Yes! The Fall breeze brings out the pumpkin lover in me! 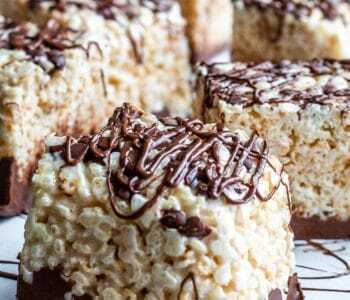 This cake looks so fluffy and delicious – perfect for holiday season! I love this time of year for all the pumpkin and pumpkin spice dishes. This loaf cake sounds like just my thing – it looks absolutely delicious! Same! Pumpkin is the best! This cake looks great and I love your blog its really refreshing to see such fun photos video and even the little texts for pinning very nice. The cake is perfect for fall!